Step by step, behavioural economics and psychological science have expanded their reach to become an established part of business, policymaking and regulation - for anyone seriously interested in both understanding and changing behaviour. And within marketing and market research, behavioural economics has become a required area of expertise and competency. We are now witnessing the next big step – the creation of the role of the Chief Behavioural Officer (CBO). This move will ensure that behavioural science has a voice at the highest level inside companies and institutions, a clear demonstration of the impact and value it is generating. In this article we look at how, within the last decade, this has become the new reality. We identify two main drivers, and examine how behavioural science is increasingly being factored into everyday business, policy decisions and common practice. First though, we take a closer look at the trend of the CBO role and in-house behavioural insight teams. In recent months there has been a big upsurge in the creation of a defined role for an in-house behavioural scientist – the Chief Behavioural Officer. Just as most large companies have a CFO, CMO, or head of CI, it is becoming far more common to have an in-house behavioural scientist, or an in-house behavioural insights team. In the same way a CEO will consult their CFO and CRO for information about risk and revenues to make a business decision, they are also beginning to meet with and draw on the knowledge and expertise of their resident CBO. CEOs are becoming increasingly aware not only of the need to understand consumer behaviour, but also how behaviour might be steered more cost effectively using insights from behavioural science. In the public arena too, governments and other institutions are increasingly engaged in more effective understanding of consumer behaviour. What does a CBO do? In a nutshell, their role is all about the application of behavioural science to the business or policy area. They typically liaise with other parts of the business (or government) to identify behavioural goals and challenges where there might be an opportunity to apply behavioural science to improve or change behaviour, whether that is on the part of the consumer, or of employees. They use their knowledge of existing behavioural insights to work with other parts of the business to research, design and run different behavioural interventions (randomised controlled trials), figuring out what works with consumers or employees and what doesn’t work. What have been the drivers leading to the ultimate creation of the CBO role? Supply side: from academics who realised the need and opportunity to apply their wealth of knowledge to business and policy problems. Clients’ desire to measure behaviour rather than attitudes and a greater recognition of human irrationality: Marketers became increasingly frustrated with the insights delivered in research, finding that attitudinal insight or change did not necessarily correspond with consumer behaviour or behavioural change. The assumption that consumers were rational turned out to be unrealistic. Such frustrations coincided with the rise of behavioural economics, creating new possibilities in the industry. Today, increasing numbers of clients and researchers are focused on both understanding behaviour and effecting behaviour change rather than targeting attitudinal change. Jennifer S. Nelson, former Global Director/Global Strategy and Insights for Johnson & Johnson commented that "The heart of marketing is behavior modification.". In fact, behavioural economics has become a recognised approach for market research. Many new agencies have launched with this approach at the heart of what they do, with existing agencies incorporating behavioural economics into their existing approaches. Growth of marketing science: This increased focus on behaviour has also been strengthened and supplemented by research centres such as the Ehrenberg-Bass Institute for marketing science and the growing interest and developments in neuroscience and neuroeconomics. While neuroscience is unlikely to provide us with the specific tools and concepts to change behaviour, it can help us understand more about what is happening in the brain when people behave in certain ways. Financial crisis: At the same time, the financial crisis of 2008 compounded the realisation that rational behaviour was not a realistic assumption to make. Dan Ariely believes behavioural economics might never have entered mainstream discourse if it hadn't been for the 2008 crisis - a huge and timely illustration of the irrationality of both consumers and traders in the global banking sector. The exact same risk-taking behaviour Ariely and other behavioural economists had seen demonstrated in their lab experiments with university students was mirrored in the big banks’ highly educated and highly paid experts. "If we had to choose a marketing campaign for behavioral economics, this would be it," says Ariely. 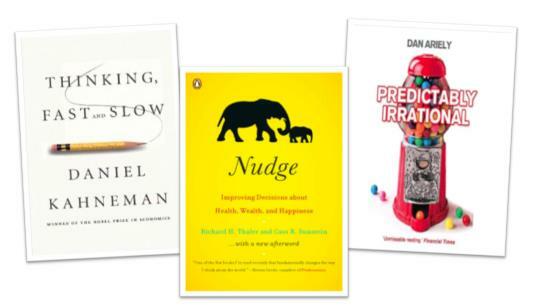 “Haven’t you read Nudge yet?”: The frustrations among businesses and government made them receptive to the increasing numbers of popular books on behavioural science and behavioural economics. These are many - and growing - and include books such as Nudge: Improving Decisions about Health, Wealth, and Happiness (by Richard Thaler and Cass Sunstein), Predictably Irrational (by Dan Ariely), both published in 2008 and Daniel Kahneman’s Thinking Fast and Slow, published in 2011. These are now standard reference works for the area and have all become bestsellers - Thinking Fast and Slow has now sold over a million copies in the UK alone. Training the CBO: These popular books have inspired many experienced, senior level business people to go ‘back to school’. There are not only increasing numbers of MSc programs and PhD courses for behavioural economics, but also executive courses for those already in a career. Online courses are flourishing and Executive Education programs have been launched at the LSE and Harvard, amongst others. This trend can only serve to feed the demand for in-house behavioural scientists and increase discussion about behavioural insights in business and government. 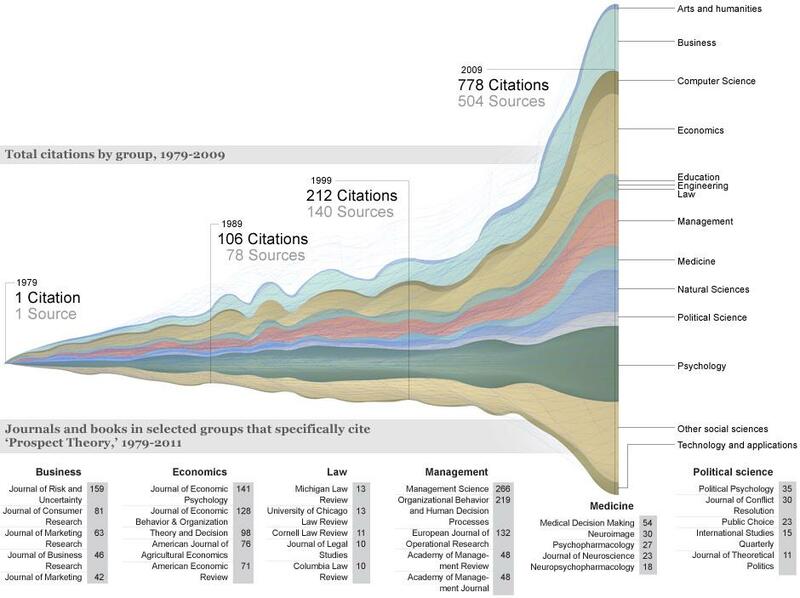 Applying and testing in the real world: At the same time, with the rapid growth of the field over the last few decades (see Figure 1), academics realised there was a fantastic opportunity to apply what they knew about behaviour to the real world – to business and policy problems. Early research a few decades ago was mostly lab-based and very much an analytical process which allowed academics to develop reasoning and hypotheses about human behaviour. To check and see if an effect or cognitive bias is still visible and as marked as it was in the lab in a real world setting where the environment and context is less controllable. There has been no guarantee that what researchers observed in the lab would be replicated in more complex environments. To make cognitive biases and their effects more convincing and real for people. Sometimes it can be hard to believe in and relate to the dry, superficial tasks participants are set in lab experiments. Testing for and seeing the same effects in the real world is something that observers can relate to much better. Success of real applications: In just a few years, there have been countless successful applications of behavioural science in business and government. These applications have all demonstrated how behavioural science is as effective a tool as others, but often has the particular advantage of being virtually costless. Private sector applications include gently steering households to use less energy or prompting individuals to manage their money better, to improving medication adherence and increasing online conversion. Public sector applications include prompting tax payments and designing tax rebates, increasing pensions enrolment and getting people back to work faster. The UK government laid the foundations for this when it created its Behavioural Insights Team (BIT) in 2010 which pioneered much of this work. Since then many other governments have created their own teams, inspired by the unit’s success, including those of the US, Australia, The Netherlands and Singapore. Germany and Canada are also building behavioural insights teams and the now part-privatised UK BIT is working with over 10 different governments around the world. The Obama campaigns of 2008 and 2012 demonstrate perhaps the most impressive (and successful) application of BE. As Anne Mulcahy, CEO of Xerox says “The Obama campaign is one of the greatest examples of what is possible in the brave new world of 21st Century marketing.”. 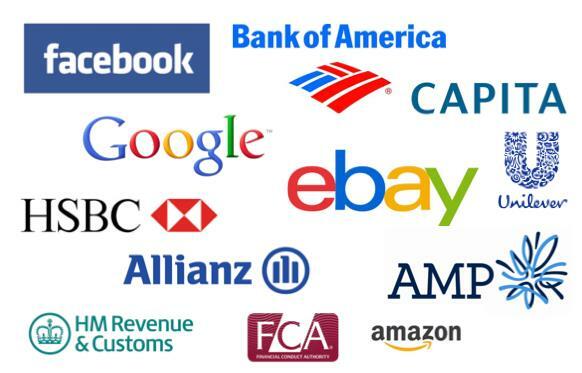 These many and diverse drivers have led to a paradigm shift in business and in government - one which recognises the importance of understanding behaviour and the possibility of changing behaviour (cost efficiently). And to embrace this new understanding, organisations have realised they need their own CBO. The true potential and power of the insights from behavioural science are still in their infancy and so far we've only scratched the surface. We’re now more effective in unlocking the key insights in consumer research, applying new behavioural economics inspired frameworks and concepts not only to make sense of existing behaviour but also to give us ways to change it by nudging and steering it along a new path. We’ve begun to tackle global issues such as retirement savings, education and medical adherence or more specific goals such as how to increase conversion online, and how to build response rates to letters and emails, and that's naming only a very few of the demonstrable successes. But there are many more issues and opportunities to which behavioural economics can be applied; its impact at both a strategic and executional level has only just begun. The next challenges will be to deconstruct and better understand some of the cultural sensitivities which make the tools of behavioural science more (or less) effective. For example, where are social norms nudges most effective in driving behaviour change? Where is reciprocity least effective? The exciting outcome of the big changes happening in the field today will emerge in a few decades when the student generation currently filling the lecture theatres right now, graduate and begin moving up into senior roles and positions of leadership. In ten years’ time, behavioural science and accurate behavioural understanding of the consumer will simply be an established part of the regular conversation around the board table. We’ll be able to discuss different cognitive biases and tools from the behavioural sciences as common knowledge. It will be so much a part of what we’re all doing that it won’t need explaining. And when some of the finer detail does get tricky to explain, we’ll be able to call on our Chief Behavioural Officer!